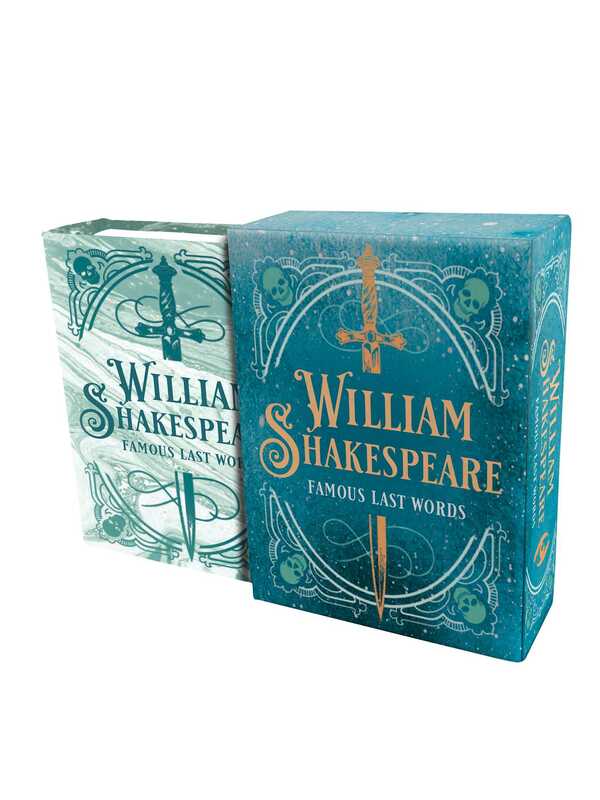 Keep the last words of your favorite Shakespearean heroes and heroines close to your heart with this delightfully grim, bite-size quote book. A tiny collection of the Bard’s best lines on dying, leaving, or just getting offstage! When it comes to exit lines, you can’t beat the Bard himself. From the obvious—“O, I am slain” (Polonius, Hamlet)—to the sentimental—“Thus with a kiss I die” (Romeo, Romeo and Juliet)—to the vengeful—“I’ll be revenged on the whole pack of you” (Malvolio, Twelfth Night)—Shakespeare gave every character on his stage a send-off to be remembered. This tiny book collects the best final quips, dying words, and exit lines from Shakespeare’s spectacular oeuvre. It’s the perfect gift for Shakespeare fans, theater students, or anyone who’s ever wanted to know what to say before exiting, pursued by a bear. Darcy Reed is a writer, editor, actor and pop culture junkie. Her other works include The College Bucket List and The Joker: Quotes from the Clown Prince of Crime. She lives in Sonoma County, CA.